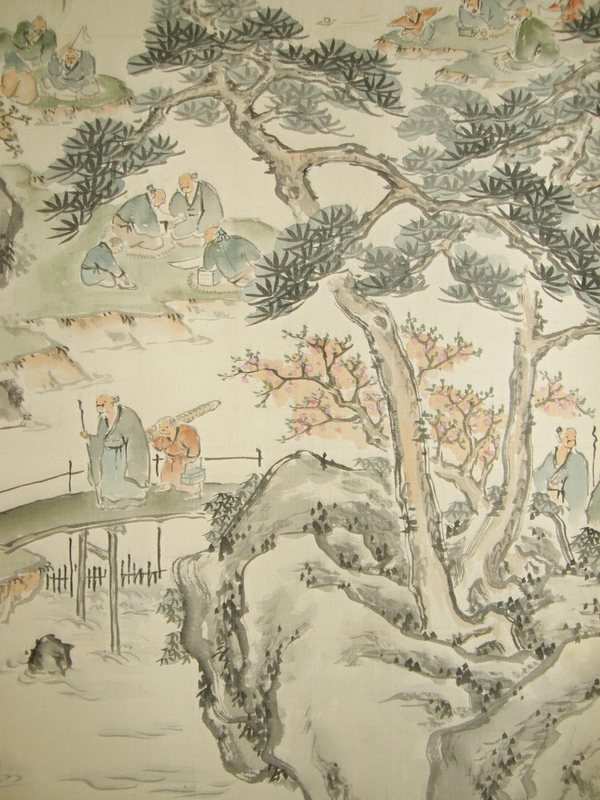 This scroll was drawn in 1948. There are some faint stains on the painting part. 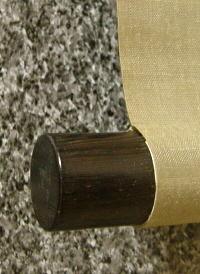 Although, the condition of this scroll is good. 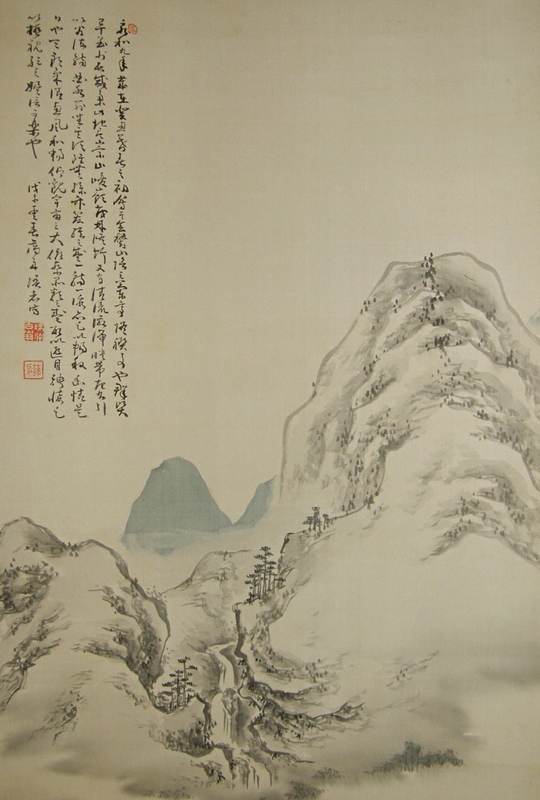 Mountains, waterfall, river, Matsu & bamboo trees, sages and others are drawn well. 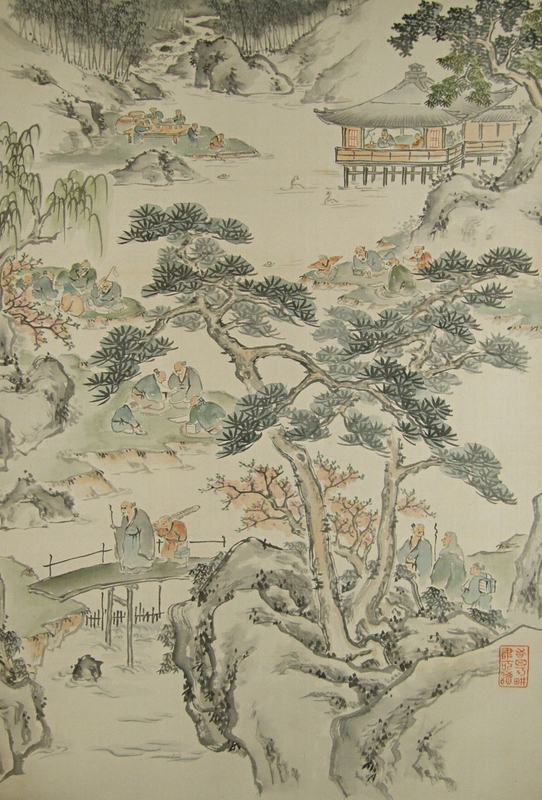 A Kanji poem regarding this scenery is also written at the top.